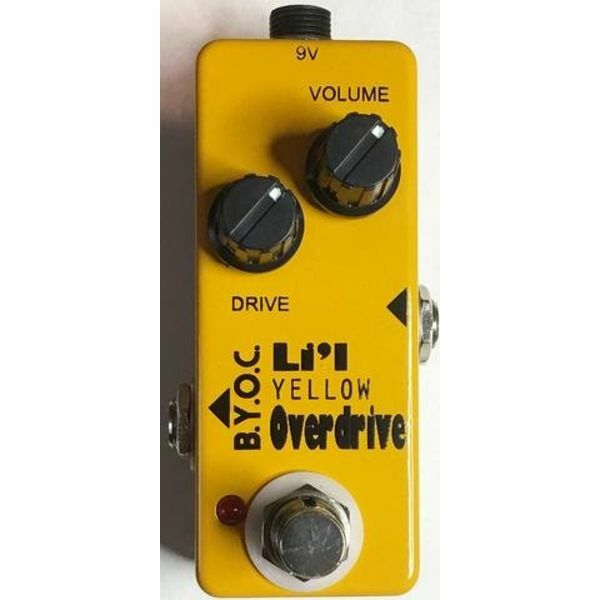 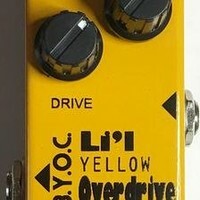 The BYOC Li'l Yellow OD is a clone of the very first Made-in-Japan version BOSS OD-1, except much, much smaller. 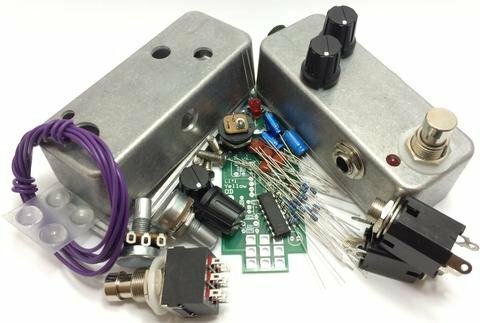 It has the single quad op amp circuit and features the MC3403 chip, not the double dual op amp circuit with transistor buffers that the later versions have. 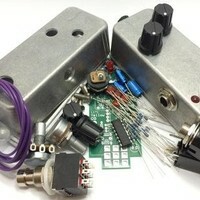 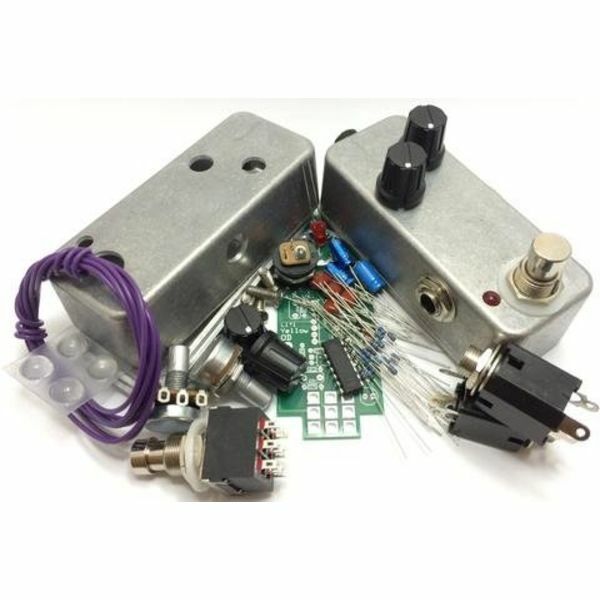 Features all through-hole components, and full-sized, panel-mounted hardware.